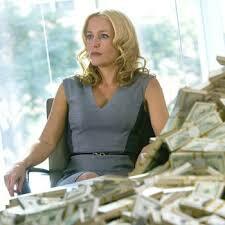 Crisis on NBC has some impressive star power led by Gillian Anderson. Every now and again you come across a show that you just can’t get a clear and concise handle on. There’s usually a good premise, some quality actors and that nagging feeling that it’s all going to be a colossal waste of time. And yet Crisis, the new drama series Sundays at 10pm on NBC, has so much going for it that I want to not only like this show, but also love it. I have a fairly established pattern when it comes to watching a new series. I’ll give just about any show one episode to see if it catches my attention in some manner. If so I then usually will watch the first five episodes on the presumption that I’ll know at that point whether to add it to my list or cut bait. After that I’m invested for the whole season. With Crisis the show caught my attention for a variety of reasons, but it also dished up one overriding concern and so I watched a second episode before coming to my initial conclusions. The set up is an excellent one for a thriller in book or film form. Whether the same can be said for a television series is debatable, but I’ll get to that in time. Persons unknown have kidnapped a busload of children, those of the Washington elite including the president’s son. The perpetrators intend to test how far these parents will go to protect their children while at the same time exposing a sinister CIA plot named Operation Lennox. On board are also a teacher and a parent chaperone, the latter played by Dermot Mulroney. There’s a duality here that is peculiar in that the kidnappers are threatening harm, but are ultimately deluded that they are doing good. Australian actress Rachael Taylor has the lead role as the FBI agent in charge who also happens to be the sister of a high powered CEO whose child is one of the abductees. Taylor is probably best known for her role as Maggie Madsen in the Transformers, a film curiously where the lead character of the Special Operations team was Captain William Lennox. One of those coincidences you notice when watching a little too much television and film! Here the actress is competent as an FBI agent and there’s a quality tension between her character Susie Dunn and the Secret Service agent Marcus Finley who survived being shot in the initial kidnapping. Lance Gross from Tyler Perry’s House of Payne has a nice screen presence as Finlay even if the script asks him to do some pretty silly things. Two of my all time favorites, Max Martini – Master Sergeant Mack Gerhardt on The Unit – and Mark Valley – Christopher Chance on the criminally under appreciated Human Target – are on hand as well and Gillian Anderson plays the aforementioned high-powered CEO. Regular readers will recall my appreciation of Anderson from the BBC Two drama The Fall, but so far there’s been nothing particularly memorable about her character Meg Fitch. It’s early days, but I’m hoping that Anderson gets to be a lot more ruthless and devious than the fairly benign portrayal so far. So a good set up, three of my favorite actors and a bunch of kids led by Stevie Lynn Jones as Beth Ann Gibson the daughter of Mulroney’s Francis Gibson. However it is the kids that are the problem that I alluded to at the start of the blog. Were this a book, a movie or a show on a premium cable channel then potentially all bets would be off. This however is network television. Even with a 10pm time slot I can’t see any regular broadcast network killing off kids and that creates a fundamental problem with a lack of imminent danger to those that have been kidnapped. The kidnappers can threaten and bluff all they want, but there is no dramatic tension created. Nor should this be considered a swipe at NBC who I will always feel positively about due to their support of Hill Street Blues back in the 80’s. You can trace the success of ensemble cast shows such as The West Wing and Game of Thrones back to the decision of NBC to take such a chance. But the fact remains; networks don’t kill kids on shows. Hence my dilemma, as there is so much good about the show and yet there it sits with an ethical plot hole you could, somewhat ironically, drive a school bus through. That being said I plan to keep watching as anything with Anderson, Martini and Valley is worth the investment of time. CLICK HERE TO VIEW TODAY’S UPDATED TV LISTINGS.